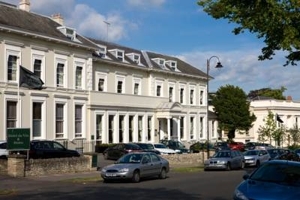 No trip to Cheltenham would be complete without a relaxing spa day at one of Cheltenham’s luxury spa hotels. 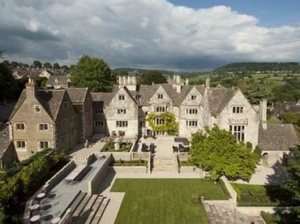 From the award winning Ellenborough Park Hotel Spa to the tranquil Greenway Hotel & Spa, there are plenty of options for those seeking a day of ultimate leisure and tranquility. Many of the spas will even offer packages that include a 2 or 3 course lunch or dinner alongside a treatment of your choice and use of the facilities. They are also great places to host your hen-do with packages available that can easily cater to larger parties. Below we take a look at Cheltenham’s top spa hotels that offer a range of spa facilities, such as state-of-the-art gyms, indoor and outdoor swimming pools, saunas, steam rooms, hot tub Jacuzzis and relaxation rooms. They also provide a selection of luxury spa and beauty treatments, such as massages, facials, body scrubs, waxing and nail treatments with additional specialised treatments for mums-to-be and gentlemen. Whatever the reason for your stay in Cheltenham, there are plenty of spa hotels available to leave you feeling completely relaxed and revitalised. 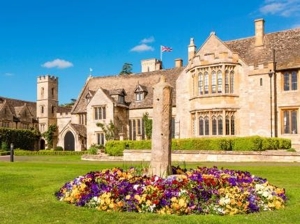 Winner of the World Travel Awards for England’s Leading Spa Hotel, Ellenborough Park Hotel offers 5-star spa treatments and services with a gym, swimming pool, Jacuzzi, steam room, sauna and, of course, a selection of high quality spa treatments. 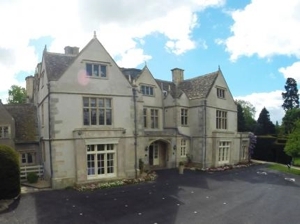 Facials, waxing, massages, wedding make-up, nail treatments and therapy treatments for gentlemen and mothers-to-be are just some of the treatments offered at Ellenborough Park. Spa weekends and Afternoon Tea packages are also on offer, as well as spa experiences that help you Indulge, Rebalance, Relax and Revitalise. The Elan Spa at the Greenway Hotel and Spa offers a range of spa services and treatments in a truly magnificent setting. The spa includes a gorgeous hydrotherapy pool, state-of-the-art gym facilities, a sauna, steam room, Jacuzzi and even a Champagne nail bar. The spa also offers packages for hen parties at reasonable rates, a selection of spa days and a range of treatments using luxury products. The treatment menu at Elan Spa is extensive and includes facials, massages of all kinds, hot stone body therapies and body scrubs just to name a few. 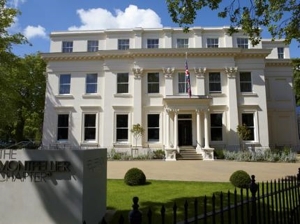 Hotel du Vin Cheltenham describes their spa as a “secluded sanctuary” within Cheltenham. The spa offers treatment rooms with luxury and therapeutic treatments, steam rooms, a Jessica nail bar, as well as a St. Tropez tanning booth. The spa offers an excellent range of packages with various options for everyone, including gentlemen, as well as “Girlie Spa Nights In” for those wishing to pampered in the comfort of their hotel room with snacks and wine. 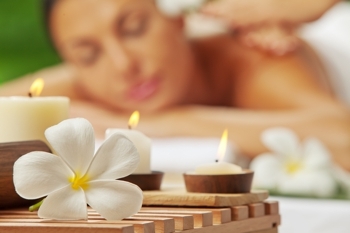 There are also a range of bespoke body treatments, such as deep tissue massage and salt scrubs. The Montpellier Chapter offers a tranquil spa with an excellent selection of facials, massages, nail treatments and waxing. They even offer packages for those wishing to make an afternoon out of it, presenting a lovely Afternoon Tea or a 2-course lunch or dinner both of which are offered alongside a spa treatment of your choice. The spa also offers a lovely relaxation room, as well as a steam room should you need to wind down after a long day of exploring Cheltenham. Cowley Manor Hotel provides a stunning spa with indoor and outdoor swimming pools, a gym, sauna, steam room and a relaxation area. The spa offers signature treatments, including massage, body wraps, facials, manicures, pedicures, waxing and specialised treatments for mothers-to-be. The spa also offers deals for those wishing to combine a relaxing day at the spa with either a 2-course lunch or dinner. The Spa at the Cheltenham Park Hotel offers four beauty rooms for various treatments involving a range of massages and facials, as well as nail treatments and waxing. The spa also offers an indoor swimming pool, a sauna, steam room, Jacuzzi, solarium and up-to-date fitness facilities. 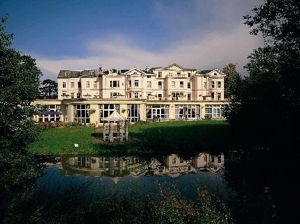 In addition, the Spa at the Cheltenham Park Hotel offers various packages and promotions for those wishing to indulge in a relaxing luxury spa day.